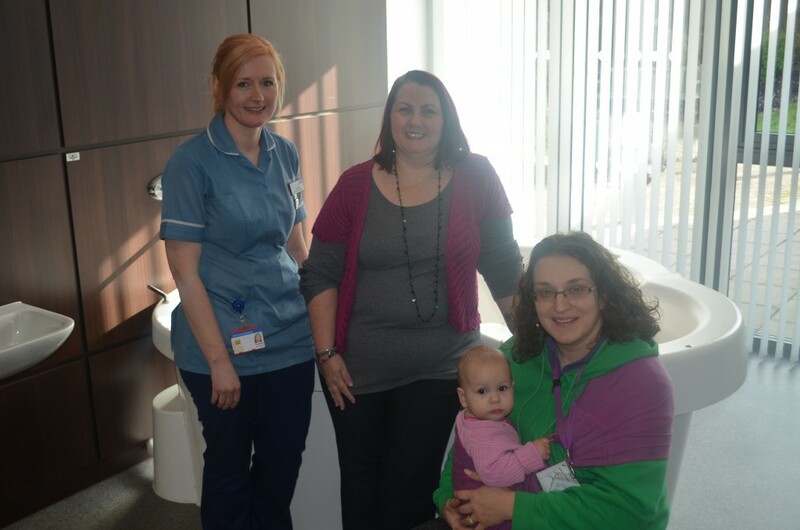 A birthing unit in Sandwell welcomed local doulas as they viewed the fabulous facilities and options available for expectant mums in the area. A doula (pronounced “doola”) is an experienced woman who offers emotional and practical support to a woman (or couple) before, during and after childbirth. Doulas believe in “mothering the mother”, enabling a woman to have the most satisfying and empowered time that she can during pregnancy, birth and the early days as a new mum. This type of support also helps the whole family to relax and enjoy the experience, with the midwife and other medical staff fulfil their clinical role. The doulas were taken on a tour of the facilities at the Halcyon Birth Centre, on Oldbury Road in Smethwick, including the therapy room and the beautiful Harmony, Grace and Tranquillity birthing rooms. They also learned about the various classes run at Halcyon, including breastfeeding sessions and parent preparation programmes. The Halcyon Midwifery Birth Centre opened in October 2011 for low-risk births. It is a purpose-built centre that looks and feels like a spa, with a focus on helping expectant mothers to be calm and relaxed. For more information on the Halcyon Birth Centre, including a virtual tour of the facilities, go to www.swbh.nhs.uk/services/maternity.